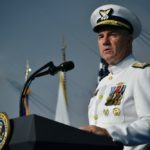 Adm. Paul F. Zukunft was relieved as commandant of the U.S. Coast Guard by Adm. Karl Schultz during a military change-of-command ceremony held Friday at U.S. Coast Guard Headquarters. Zukunft also retired from the Coast Guard after 41 years of service to the nation as part of the same ceremony and received the Homeland Security Distinguished Service Medal from President Donald J. Trump. Zukunft became the 25th commandant May 30, 2014. He led the largest component of the Department of Homeland Security, comprised of 56,000 active duty, Reserve and civilian Coast Guardsmen and more than 24,000 volunteer Coast Guard auxiliarists. Zukunft’s leadership and vision were instrumental in increasing the pace of the Coast Guard’s recapitalization efforts. Zukunft worked with Congress and the administration to achieve funding for completion of the national security cutter program of record, the acquisition of new fast response cutters, funding for the waterways commerce cutter, and funding for the offshore patrol cutter. He also ensured the Coast Guard began receiving necessary funding to commence acquisition of the nation’s first new polar icebreaker in more than 50 years. As commandant, Zukunft led the service’s efforts to respond to the unprecedented 2017 hurricane season, where Coast Guard personnel saved or assisted nearly 12,000 victims from flooded communities in Texas, Florida, and Puerto Rico. It was also under his leadership that the Coast Guard received a clean financial audit for a fifth consecutive year. 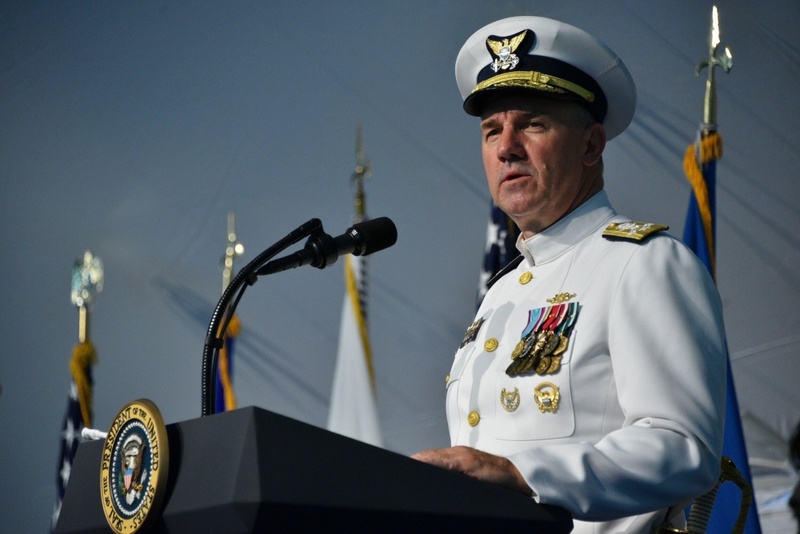 Schultz, now the service’s 26th commandant, reports to Coast Guard headquarters from Portsmouth, Virginia, where he served as the Coast Guard Atlantic Area commander since August 2016. In this capacity, he was the operational commander for all Coast Guard missions from the Rocky Mountains to the Arabian Gulf, spanning across five Coast Guard districts and 40 states. A change of command is a time-honored ceremony that signifies the absolute transfer of responsibility, authority and accountability from one person to another.